This work aimed to characterize microcapsules of caseinates loaded with red propolis extract (RPE) using different analytical and biological methods. Five compositions of microcapsules of caseinates loaded with RPE at concentrations between 10% and 50% were prepared using sodium casein from bovine milk as encapsulating agent and colloidal silicon dioxide as a flow agent. The caseinates were produced using colloidal dispersion technique and submitted to the spray-drying technique. The caseinates were characterized using SEM analysis, thermal analysis, FTIR, Fluorescence analysis, electrophoresis, dissolution studies, antioxidant and antibacterial activities. SEM images showed spherical particles in the range from 3.24 μm to 20.5 μm. FTIR, NMR spectra in solid-state and thermal analysis also demonstrated the encapsulation of the RPE. Dissolution study revealed limited to poor water-solubility of flavonoids in the compositions CSRPE18% and CSRPE28%, but good water solubility of naringenin in the compositions CSRPE35% and CSRPE50%. Excellent antioxidant activity and antibacterial activity were demonstrated only from CSRPE50% and CSRPE35% compositions. Thermal analysis, water-solubility dissolution assay and antioxidant activity have indicated a high protein binding between sodium casein and flavonoids from RPE in the CSRPE18% and CSRPE28% compositions resulting in a controlled release of the flavonoid. However immediate release of flavonoids in the compositions CSRPE35% and CSRPE50% was detected. The Fluorescence and thermal analysis allied to the dissolution, antioxidant and antibacterial tests were important analytical techniques to elucidate the interaction between flavonoid-protein and flavonoid release kinetic from caseinates soluble complex. Acknowledgments. The authors are grateful to CNPq, CAPES, FINEP and FAPEAL for financial support. ISNAD PORTO, Isabel Cristina Celerino de Moraes , ALMEIDA, Clinston Paulino de , NASCIMENTO, Nataly Miranda do , WANDERLEY, Amanda Barbosa , OLIVEIRA, João V. Lessa de , SANTOS, Felipe J. L. Barbosa dos , SILVA, Valdemir da Costa , BASÍLIO-JÚNIOR, Irinaldo Diniz , LIRA, Giselda Macena , CONCEIÇÃO, Marta Maria da , SANTOS, Ana Flávia Oliveira dos , NASCIMENTO, Ticiano Gomes do . "Caseinates Loaded with Red Propolis Extract". 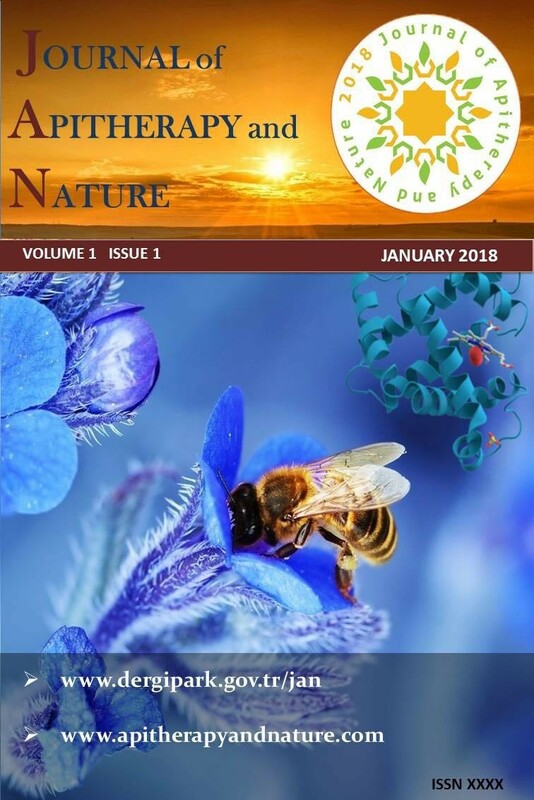 Journal of Apitherapy and Nature 1 / 3 (December 2018): 63-63.